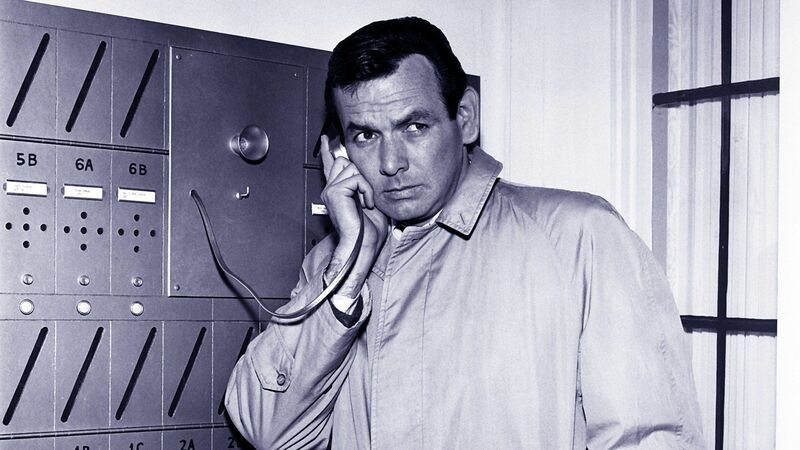 Here's where to watch every episode of The Fugitive season 1. Mouseover or tap an episode to see where to stream it. Click or tap the play icon to stream it on the best available service. Fear in a Desert City Sep 17, 1963 Richard Kimble rides into Tucson, Arizona under the name James Lincoln. He checks into a hotel and finds a job as a bartender at the Branding Iron. He meets Monica Welles (Vera Miles), the piano player who escaped from her stalking jealous husband (Ed Welles) played by Brian Keith. The Witch Sep 24, 1963 While working as a handyman in a backwater community in Missouri, Kimble has a few run-ins with a young girl named Jenny Ammory whom is a pathological liar whom speaks to a rag doll she calls 'Nyet' which she keeps at a nearby pond. Jenny uses Kimble as an excuse when she's late for school when she claims that a man attacked her. When Kimble shows up making a routine delivery of supplies to the school, Jenny idetifies him as the man whom attacked her. As Jenny's teacher, Emily Norton, speaks to Kimble about Jenny's compulsive lying, Jenny runs home and tells her mother she saw her teacher and the local handyman making out in the barn. Kimble gets roughed up by his co-workers while Emily gets fired and both are advised to leave town. Kimble goes to a school hearing on Emily and tries to clear her by catching Jenny in a lie. But his plan backfires when the skeptic townspeople belive Jenny and decide to form a lynching party to track Kimble down. The Other Side of the Mountain Oct 1, 1963 In West Virginia, Kimble arrives at a local coal mining town where he is roughed up by the redneck locals, and then chased by a sheriff's posse. Hiding in the mountains, Kimble meets Cassie, a young woman living in a remote cabin with her grandmother. Cassie tells Kimble she get him to safety because she knows the area, when she is really wanting to keep him around for her own selfish reasons. Meanwhile, Gerard flies to West Virginia after learning from the sheriff that Kimble has been spotted in the area and teams up with the posse to try to find Kimble. Never Wave Goodbye (1) Oct 8, 1963 Kimble, working as an apprentice sailmaker in Santa Barbara, California, falls in love with Karen, the daughter of his stern but compassionate boss Lars Christian. But earns scorn from Karen's jealous and overprotective brother Eric. When Lars suffers a heart attack his last wish on his deathbed is to implore Kimble to stay with Karen. Meanwhile, Gerard flies to nearby Los Angeles when he hears about the arrest of a one-armed man for armed robbery and lets the story hit the newspapers, hoping it will flush out Kimble. Never Wave Goodbye (2) Oct 15, 1963 After finding that the one-armed man is not the same man he saw fleeing his house the night of Helen's murder, Kimble flees from Los Angeles, bearly escaping Gerard's dragnet. Tired of running, Kimble hopes to lie low in Santa Barbara and finally confides with Karen his secret. But Gerard tracks Kimble to Santa Barbara from a single clue that Kimble leaves behind at the L.A. County Jail: a match with the word ""sails"" printed on it. When Kimble discovers that Gerard has arrived in town looking for him, with the assistance of Eric, Kimble and Karen flee by sailboat and hope to end the running by faking his and Karen's death in a sailboat accident during a storm at sea. Decision in the Ring Oct 22, 1963 Kimble finds work as a cut man for boxer Joe Smith. Joe confides in Kimble that he wanted to be a doctor, but he chose boxing because he felt that being a black man would be an obstacle in the world of medicine. When Kimble discovers that Joe is suffering from memory loss, both he and Joe's wife, Laura, fear that Joe might have brain damage from his boxing. Meanwhile, a police detective, named Henry Stone, goes undercover as a sports writer to investigate Joe's manager, Lou, for possible mob ties. But when a distgrutled boxing worker tips off Stone that someone might be wanting Joe to throw his next fight, the detective investigates Kimble. Smoke Screen Oct 29, 1963 A forest fire prevents access to a local hospital. Kimball, now a farm laborer, decides to risk blowing his cover when he elects to help deliver a woman's baby at the labor camp. When the news of Kimball's charitable act is reported to the press, Gerard gets wind of it and believes that Kimball is the unnamed doctor. See Hollywood and Die Nov 5, 1963 While working as a gas station attendant in New Mexico, Kimble is taken hostage, along with customer Joanne, by two holdup men, named Miles and Vinnie. Once on the road, Kimble pretends that he is a criminal and is heading towards Los Angels for a ""big job."" At the same time, he lets Joanne know that he's on her side, but she's suspicious to his true motives. Once arriving in L.A., Kimble decides to set up Miles and Vinnie to be arrested. But Miles, not trusting Kimble enough, wants him to kill Joanne to prove himself. Ticket to Alaska Nov 12, 1963 On a small freighter, Kimble is traveling to Alaska when an FBI agent, named Paul Vale, arrives and begins questioning him and all the passengers in a search for a Korean War criminal and traitor. Vale becomes most suspicious of Kimble, as well as passenger George Banning and his wife Adrienne whom are embezzlers fleeing the States. When Vale is found murdered the next day, Captain Carraway interogates all the suspects and when the captain discovers that Kimble's references are fake, Kimble becomes the chief suspect. Fatso Nov 19, 1963 After getting into a car accident in a rural Kentucky town, Kimble lands in jail by the redneck sheriff who hates outsiders. But Kimble manages to escape with his cellmate Davey ""Fatso"" Lambert. Hiding out at the Lambert ranch, Kimble sees that Davey's father and brother, Frank, treat the slow-witted Davey badly for blaming him for a barn fire years earlier. Kimble tries to prove Davey's innocence as Gerard flies out to Kentucky after learning of Kimble arrest and forms a posse to track him down. Nightmare at Northoak Nov 26, 1963 Kimball is injured while helping save some children from a fiery crash. While recuperating at a local home, he learns that his caretakers are the local sheriff and his wife. As if this weren't bad enough, a news article describing Kimball's heroic deeds goes nationwide. The all-seeing Lt. Gerard reads the article, and then goes to the small town to arrest Kimball. Glass Tightrope Dec 3, 1963 Working as a stock clerk in a department store, Kimble witnesses his boss, Martin Rowland, accidentally kill a business associate in the parking lot after hours. When Kimble learns that a local vagrant found near the crime scene is the prime suspect, Kimble anonymously phones Rowland to get him to confess to the murder. But Rowland and his wife, Ginny, thinking that the caller is blackmailing them, hires the store detective, Angstrom, to find the person ""blackmailing"" Rowland. Terror at High Point Dec 17, 1963 While working at a construction site in Utah, Kimble convinces his supervisor, Buck Harmon, to hire Jamie, a mentally retarded but physically strong young man to help out. Because Jamie is an easy target for the taunts of the other work crew members, Kimble becomes Jamie's protector. When Jamie is accused of sexually assaulting Buck's wife, he becomes frightened and runs away. The crew foreman, Dan Pike, convinces Buck to organize a posse to hunt down Jamie and kill him. The Girl from Little Egypt Dec 24, 1963 In San Francisco, Kimble is nearly run over by a car driven by Ruth Norton, a young flight attendent distraught over discovering that the man she has been dating for the past four months is married with two children. While recuperating in the hospital, a delirious Kimble flashes back to the months leading upto the night of Helen Kimble's murder and Kimble first seeing the one-armed man fleeing from his house. Followed by Kimble's trial, sentence, and escape from the train wreck. Ruth, who has been keeping a vigil at Kimble's bedside, hears him mutter Helen's name. Thinking that he's in some kind of trouble, Ruth takes Kimble (now going by the alias George Browning) to her apartment to recover. Kimble then gives Ruth advice on her relationship with her boyfriend, Paul, and to put her life problems in perspective. Home is the Hunted Jan 7, 1964 Kimble returns to his home town in Illinois after learning that his father, John Kimble, has suffered a heart attack and has donated his medical library to the University of Wisconsin and in the process of selling the family house. While Kimble hides out at the home of his sister Donna and her sympathetic husband Leonard, Kimble blames himself for his father's condition, but is more troubled by his younger brother Ray, whom belives Kimble is guilty and thinks he's to blame for ruining his life since people see Ray as ""the brother of a killer."" Meanwhile, Gerard arrives in town to search for Kimble and focuses on Donna and Leonard whom try to shake off the relentless detective long enough for Kimble to get out of town before Gerard finds him. The Garden House Jan 14, 1964 Kimble is working as the caretaker at a spacious ranch in Connecticut which is owned by newspaper heiress Ann Guthrie who lives with her husband Harlan and her sister Ruth. Ann and Ruth's late father founded the Westborne Clarion, the newspaper that Harlan currently runs. Although Ann is the sole benefactor of her father's estate, she believes Ruth is entitled to part of the fortune. But Ann is unaware that the greedy Ruth is having an affair with Harlan and they plot to murder Ann and claim everything. When Kimble suspects Ruth and Harlan's plan and informs Ann, the skeptic heiress refuses to believe Kimble. Knowing that Kimble knows, the crafty couple plot to frame him for Ann's murder. Come Watch Me Die Jan 21, 1964 While working as a farm hand in a small Nebraska town, Kimble witnesses the arrest of a local man, named Bellows, whom is suspected of a double murder. Kimble finds himself 'deputized' by Deputy Bowers to help transport Bellows to the county jail, along with four witnesses whom saw Bellows fleeing from a farm house which was the scene of the crime. Although Bellows convinces Kimble that he (like Kimble with his wife's murder) is an innocent victim of circumstantial evidence. But the townsmen remain unswayed. That night when the men get drunk and decide to lynch Bellows, Kimble helps him escape. But Kimble is betrayed when Bellows, whom really did kill the farm couple, escapes and holds another farm couple hostage. Where the Action Is Jan 28, 1964 While working as a hotel lifeguard in Reno, Nevada, Kimble is caught in the middle of a feud between the hotel owner Dan Polichek, and his spoiled and rambunctious teenage daughter Christine. 'Chris' belives her father drove away her mother whom commited suicide years ago and she sets out to disgrace Mr. Polichek by provking bar fights, humiliating herself, and goes too far when she pretends to be engaging herself in an affair with the reluctant Kimble. Search in a Windy City Feb 4, 1964 Beliving that the one-armed man is in Chicago, Kimble contacts Mike Decker, a newspaper columnist who defended Kimble during his trial. Kimble and Decker organize a city-wide search for the one-armed man. But things get complicated with the arrival of Decker's alcholic wife, Paula, whom gets nervous of Kimble's presence and falls off the wagon. Meanwhile, Gerard learns about Decker's search for a one-armed man and decides to use the writer to set a trap for Kimble. Bloodline Feb 11, 1964 Kimble works as a kennel man for Max Bodin, a breeder of prize-winning Irish Setter show dogs, and whom is currently putting his kennel up for sale. Max's son, Johnny, and Johnny's wife Cora discover that one of the dogs has developed hip dysplasia which means all of the dogs in the bloodline will likely inherit the condition and be worthless as show dogs. But they keep the news from Max and plot to live off the sale. But when Kimble stumbles onto their plan, they have him investigated. Rat in a Corner Feb 18, 1964 Herbie Grant, a second rate hoodlum, is shot in the leg while trying to rob a liquor store that Kimble works at. Herbie later takes Kimble hostage where Herbie claims that although he tried to rob the store, he is innocent of two other liquor store robberies in the other towns. Kimble agrees to help clear Herbie in which the hood lets the fugitive go. Kimble is summoned to the local police station to give his statement on the robbery where he is recognized by Herbie's sister, Lorna, whom works at the local post office. She threatens to turn Kimble in unless he turns over her brother whom she belives to be guilty of those other robberies. But at a local motel where Herbie is staying at, he is recognized by a maid who calls the police and they arrest him. Thinking that Kimble doublecrossed him, Herbie reports Kimble to the police. Angels Travel on Lonely Roads (1) Feb 25, 1964 On the run from the Nevada State Police, Kimble hitches a ride with Sister Veronica, a nun traveling to Sacramento where she plans to renounce her vows. After fixing her car when it breaks down, Kimble agrees to travel with Veronica only to the nearest train station. But Veronica belives Kimble to be her savior and insists that he tag along with her all the way to Sacramento. Angels Travel on Lonely Roads (2) Mar 3, 1964 Kimble and Sister Veronica continue their journey to Sacramento, unaware that the Nevada State Police have put up a roadblock at the state line. While Kimble deals with a disgruntled ranch hand, named Chuck Mathers, whom suspects his true idenity, Sister Veronica accidently discovers Kimble's idenity through a TV news report. But she does not tell Kimble about her knowledge of who he really is. Flight from the Final Demon Mar 10, 1964 While working as a health club masseuse, Kimble is recognized by Sheriff Bray, a local lawman with policial aspirations. But Kimble manages to escape with the help of co-worker Steve Edson. After confiding with Steve his secret, Kimble learns that Steve is a fugitive of conscience: five months earlier, Steve was tried and acquitted for the murder of his girlfriend Linda's abusive brother, a murder that Steve actually committed and he apparently cannot live with the guilt over having gotten away with it. Kimble reluctantly lets Steve travel with him. But Steve begins leaving behind clues that soon puts Sheriff Bray back on their trail, including contacting Linda for help and letting her vengeful other brother, Joey, track them down. Taps for a Dead War Mar 17, 1964 While working as a roller rink supervisor, Kimble is recognized by the horribly scared Joe Hallop, a former Korean War veteran whom blames Kimble for his condition. Apparently back in the Korean War, Kimble was nearly killed in an enemy grenade explosion in which Joe shielded Kimble and got his face disfigured in the process. Knocked out, Kimble never knew who saved his life. Joe then plots to lure Kimble into a remote area and kill him by using one of his war mememtos: a live grenade. Somebody to Remember Mar 24, 1964 While working as a warehouse worker, Kimble is recognized by the Greek-born owner, Gus Priamos. Gus tells Kimble that he is dying from cancer and has only six months to live and hopes to aid the Fugitive with a scheme to make it look that Kimble has fled the country to Greece. But when Gus' jealous girlfriend Sophie learns Kimble's idenity through a magazine article, she contacts Gerard whom gets a heads-up on Kimble and Gus' plan. Never Stop Running Mar 31, 1964 While working as a migrant worker in New Mexico, Kimble becomes an unwilling party to the kidnapping of a young boy whom is the son of his landowner boss. The boy, Jimmie, has been abducted by Ralph Simmons, a disgruntled former football player, along with his wife Helen and his cousin Dave. When Kimble discovers that Jimmie is a hemophiliac and that Ralph has bruised him during the abduction, Kimble must find a way to get the boy away from the kidnappers and to a hospital, or Jimmie will soon die from internal bleeding. The Homecoming Apr 7, 1964 While working as a research technician for the wealthy Allan Pruitt, Kimble gets involved in the business of Allan's teenage daughter, Janice, who returns home after spending a year in a mental hospital recovering from a nervous breakdown after witnessing a young boy under her care get killed by two vicious stray dogs. But Allan's new wife, Dorina, does not take a liking to Janice and plots to drive her insane by hiring a neighbor to make his pet dogs bark in the nearby woods and convince Janice that the dogs are alive (they were captured and put to sleep by the local dog catcher.) But when Kimble claims that he has heard the dogs barking, Dorina asks the local sheriff to investigate Kimble to find any dirt on him. Storm Center Apr 14, 1964 While working as a dock worker in Florida, Kimble is recognized by Marcie King, a young woman whom five years earlier asked Kimble to perform an abortion for her (illegal at the time; pre-Roe Vs. Wade). Kimble refused due to his religious beliefs, and Marcie went to another second-rate doctor to have it done. But after the operation, because of complications, Marcie can no longer have children and she incredibly blames Kimble for it. When a hurricane hits the area, Marcie and her boyfriend Harry, an embezzler on the run from the law, approach Kimble and threaten to turn him in unless he drives them to safety from the hurricane and the police looking for them. The End Game Apr 21, 1964 A discarded photograph, with Kimble in the background, leads Gerard to Chicago where he assembles a team of detectives where they trap Kimble within an eight-block radius of the city. With Kimble wondering from place to place, and being recognized by whomever he comes into contact with, he flees from both policemen and local citizens, finding refuge in a small house which is the home of two middle-aged men, named Jake Devlin and Sam Reed, whom have long argued over his innocence.